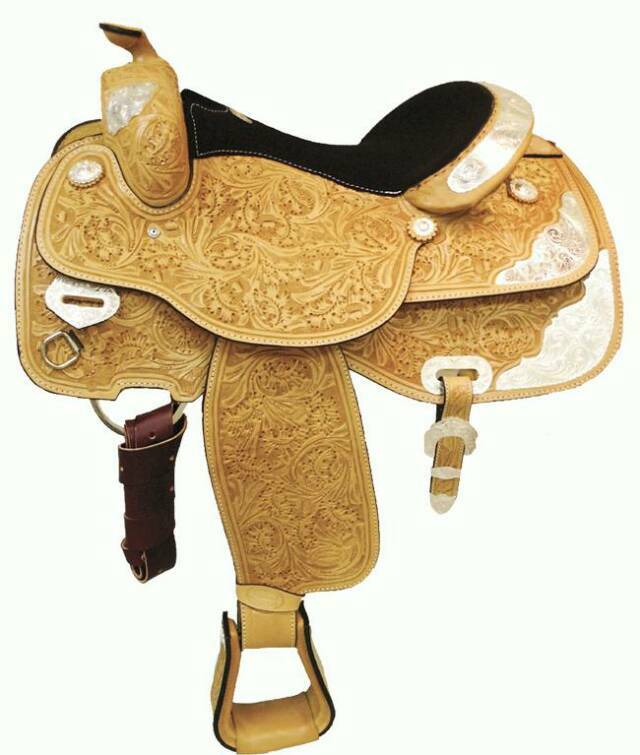 Professionally crafted on our special 5 year guaranteed Silver Royal rawhide covered tree providing a deep center pocket allowing the rider to maintain correct position and balance. 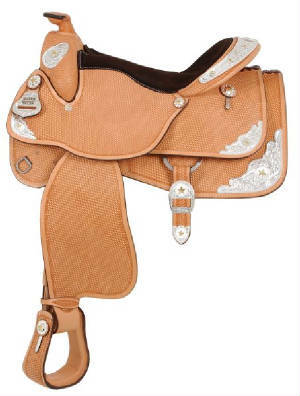 Features basketweave tooling throughout accented with mirror/berry edge silver with gold stars, neoprene in skirts, blevins style quick change buckles, padded sewn stirrups and soft suede leather seat. 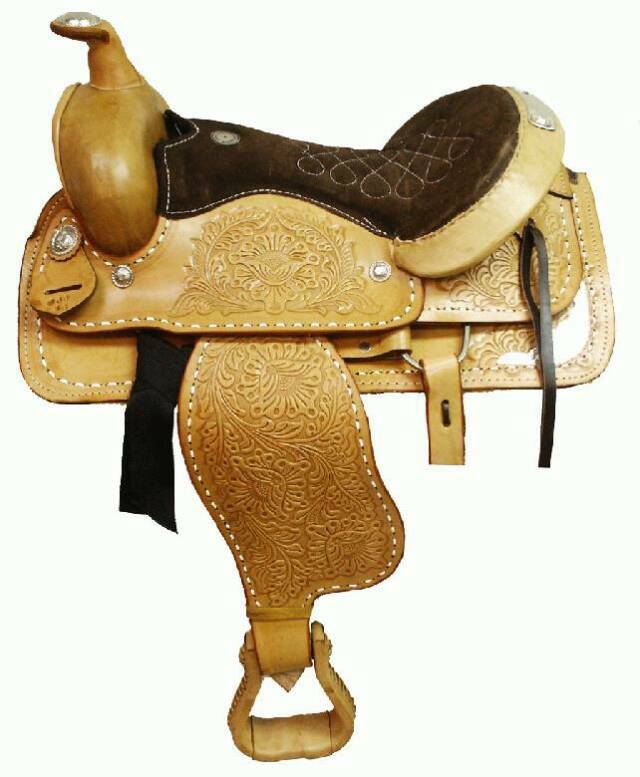 Showman 14.5", 15", 16", 17", 18"
Weight: 14.5, 15= 33 lbs.